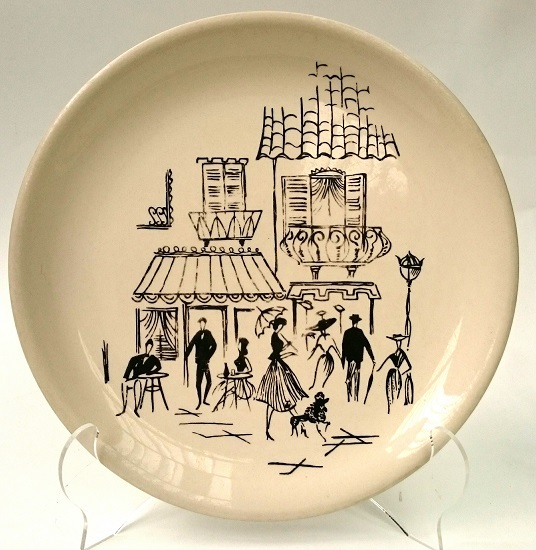 This pattern was also used by Alfred Meakin and is described as a Paris Cafe Scene. As I am a Crown Lynn patterns geek, this was one pattern that I HAD to HAVE. 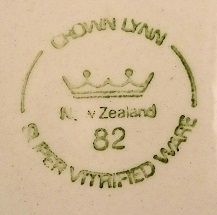 The backstamp is from 1982 and it was most likely used in a Restaurant or Cafe. These were all listed together in the Design Services records, from c1976. If anyone knows the name of this pattern please let us know.